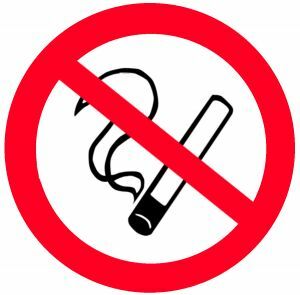 Anti-Smoking Teen Makes Me Proud - Motherhood Looms - Where's My Yarn? Your son sounds like a great teen with a solid head on his shoulders! I didn’t smoke but it was only because my grandparents didn’t smell good when they smoked. I don’t smoke, I did a few times in college just for the heck of it but I hated the smell in my clothes and hair. I did have a co-worker once who hid her smoking from her son. You could never tell she smoke at all unless you saw her going out with her smokes. I would always tell her if you have to hide it so much maybe you shouldn’t do it at all. I dabbled in smoking in high school when it was “cool.” What is it about lung cancer and emphysema that’s cool exactly? That is WONDERFUL! I hope my girls are the same way, although I think they will be because we just aren’t around it. NO one in our circle of family or friends smokes so they’re not exposed… yet. But we’ll definitely be having talks! Smoking is a rough spot in our marriage. My husband smokes, I do not. In fact, it gives me migraines and stomach aches. I can only imagine what it does to our kids. And that’s only with 2nd & 3rd hand smoke. I know he has tried to quit, and I’m sure it’s hard. I’ve tried to be supportive, but this is something he has to do on his own he tells me. It’s frustrating. But he never smokes when the kids are watching, or around them for that matter. And for that, I am grateful. I hope, and pray, they grow up without knowing the taste of a cigarette in their mouth. I love my husband very much, I just wish he would give me the tools to help him succeed in quitting! Congrats to your son for making a great life choice and kudos to you for helping him do so! My 12 year old daughter is very against smoking. I started back about 6 months ago due to stress, and I know she’d be my biggest cheerleader should I stop again! First of all, congratulations on quitting smoking! That is a HUGE accomplishment. I used to work for ACS with a leadership program centered around anti-tobacco advocacy. I was so impressed by the articulate, passionate youth involved. Many of them had parents or loved ones who smoked and that proved a huge motivator for them. He sounds like a great kid! And you did all the right things to discourage him from smoking himself. Spending my entire young life watching my Dad smoke while having bout after bout of lung related illness and wondering whether this was the time it was going to kill him was sufficient reason for me to never even experiment with smoking.